The most important factor in creating proper pH is increasing oxygen because no wastes or toxins can leave the body without first combining with oxygen. The more alkaline you are, the more oxygen your fluids can hold and keep. 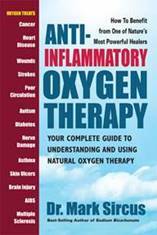 Oxygen also buffers/oxidizes metabolic waste acids helping to keep you more alkaline. 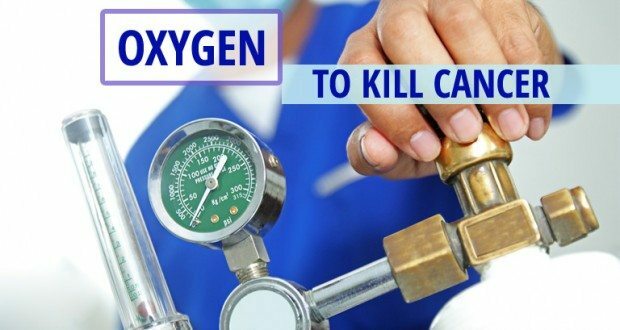 The quickest way to increase oxygen and pH is through the administration of sodium bicarbonate and that is why bicarbonate has always been a mainstay emergency room and intensive care medicine. Of course, when we increase oxygen and pH levels we are simultaneously increasing cellular voltage. The severity of hypoxia and acidosis in tumors can affect tumor cell invasiveness, metastasis as well as the risk of recurrence. UT Southwestern scientists led by Dr. Ralph Mason reported in the online issue of Magnetic Resonance in Medicine that countering hypoxic and aggressive tumors with an “oxygen challenge” — inhaling oxygen while monitoring tumor response — coincides with a greater delay in tumor growth in an irradiated animal model. Combined with other treatment approaches regulating cell voltage is another way of treating cancer. Researchers in the US have already found out that simply regulating the voltage of tumorous cells could be enough to stop them spreading out of control but when combined with oxygen (hyperbaric chambers or Live O2), sodium bicarbonate, remineralization and super nutrition we have a cancer approach that is worth consideration. Oncologists know that having a strong immune system is important in fighting cancer. “The immune system needs voltage, iodine and ozone to kill bugs. Tumors cannot grow if the oxygen levels are normal, and oxygen levels are controlled by voltage,” says Dr. Jerry Tennant. He could have said oxygen levels are controlled by pH or oxygen levels control voltage because if there is too little oxygen then the mitochondria cannot create enough ATP to keep cellular energy high. It is important to notice in the above chart about the oxygen disassociation curve that temperature is important. Adding heat into the body of anyone via the heavy use of infrared sleeping mats will also help to increase immune system strength, while giving the patient a great measure of comfort for pain. Dr. Aleksandr Samuilovich Presman in his 1970 book Electromagnetic Fields and Life identified several significant effects of the interaction of electromagnetic fields with living organisms. Electromagnetic fields: 1) have information and communication roles in that they are employed by living organisms as information conveyors from the environment to the organism, within the organism and among organisms and 2) are involved in life’s vital processes in that they facilitate pattern formation, organization and growth control within the organism. All biological process and in particular the metabolism of every single cell are based on their voltage and electromagnetic frequency. 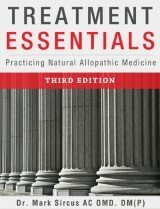 Only an organism which is sufficiently supplied with energy is able to control the self-regulating mechanisms and has the powers of regeneration and healing. 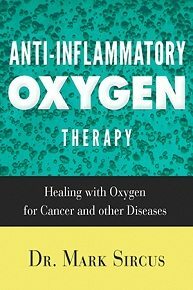 “The ideal task of cancer therapy is to restore the function of the oxidizing systems,” wrote Dr. Max Gerson in his book, A Cancer Therapy: Results of Fifty Cases and the Cure of Advanced Cancer. “Deprive a cell of 35% of its oxygen for 48 hours and it may become cancerous,” said Dr. Otto Warburg. Deprived of air we die, but our cells have a bastardly trick up their sleeves where they can survive low-oxygen conditions. We call this condition cancer, the slow starvation of healthy cells while cancer cells thrive. Cancer involves an interaction between rogue cells and surrounding tissue. This is the clear message of Dr. Mina Bissell. Cancer cells routinely form in most people’s bodies in areas of low voltage, low oxygen and acidic pH. What this means is that the health or sickness of surrounding cells and the surrounding extracellular matrix interact to shape cancer cell behaviors such as polarity, migration and proliferation. Cancer geneticist Dr. Bert Vogelstein, director of the Ludwig Center for Cancer Genetics and Therapeutics at John Hopkins said, “One cannot fully understand that disease unless one understands the tumor’s environment.” Though not the only way, microcurrent is the easiest and most direct way of altering local environments that surround cancer tumors. Some medical scientists discovered that zapping cells with extremely brief, high-voltage electric pulses that they could trigger the self-destruct mechanism in the cells’ biochemical machinery. In the 1950’s, a Swedish radiologist and surgeon, Dr. Björn Nordenström demonstrated that when microcurrent was passed through needles implanted into cancerous tumors it blocked cancer pain and in many cases caused the tumors to regress or disappear. He theorized that this treatment set up a form of electro-osmosis that dehydrated the tumor and blocked production of pain-producing substances such as histamine. Dr. Karl H. Schoenbach and Dr. Stephen Beebe reported inducing apoptosis in cancer cells with electric pulses in 2001. Using needle electrodes, they zapped tumors with a series of electric pulses 300 nanoseconds long and 60 kilovolts per centimeter in magnitude. They found that treated tumors grew only 50 to 60 percent as big as the untreated tumor, with many cells dying by apoptosis. Delivering such high voltage in just a few billionths of a second is akin to accelerating a car from 0 to 100 kilometers per hour and then decelerating it back to 0, all within 1 second. This is not what we are recommending. Bottom line, orthodox cancer treatments do not treat cancer for they not only do not address oxygen, pH and voltage levels, they make the situation worse by lowering oxygen levels further, turn the body more acid and thus health and voltage levels suffer. What else should one expect from toxic chemicals found in chemotherapy and highly toxic nuclear radiation that is also used in orthodox cancer treatments and tests. Sometimes these dangerous treatments do kill cancer before it kills the host. It is important to note that magnesium also increases oxygen delivery to the cells because magnesium is crucial for red blood cells to retain shape—thus their ability to carry oxygen. Magnesium is one of the most overlooked anticancer agents. UT Southwestern Medical Center. “Oxygen – key to most life – decelerates many cancer tumors when combined with radiation therapy.” ScienceDaily. ScienceDaily, 23 July 2013. www.sciencedaily.com/releases/2013/07/130723154959.htm.